IBS Intelligence - Blog: Reality check: What has brought Android Pay to Europe? Should cash be abolished? To further fan the flames of the debate, Google has dared to step across the pond and launch Android Pay in the UK – the first European country that the service will be available. Eight banks and eleven retail chains are being supported by MasterCard to participate in the launch. It’s a strong line-up but how does Android Pay compare with its competitors Apple Pay and Samsung Pay? According to Google, six million people signed up for Android Pay within a month. These appear to be strong numbers at first glance. But the registrations do not reveal the actual number of users. In order to encourage uptake, Google has partnered with the bonus system Plenti and the credit card issuer American Express. The combination of mobile payment and loyalty programme represents an incentive for consumers to switch to Android Pay. Google has relied on these strong partnerships prior to the introduction of Android Pay in the UK, particularly since Apple has had a head start. Apple probably has the most mature solution on the payment market in the UK, not least because Apple Pay has been there longest. Despite strong awareness among iPhone users (64%), only 20% have ever tried the service and only 3% use it regularly. Taking account of the market share and market penetration of Apple in the US, less than 1% of all iPhone 6 users make payments with Apple Pay regularly. 1% may seem low but it is still evidence of momentum. However, there remains a long way to go before mobile payment can be considered a mass phenomenon. The introduction of Android Pay in the UK has the potential to irritate Samsung users, who with Samsung Pay, already have their own pre-installed Wallet with the Galaxy S6 handset. The solution is currently used in the US, South Korea and China and will soon be available in the UK and Spain. Natalie Oestmann, Head of Samsung Pay Europe, announced that Samsung Pay will be launched in other European countries during the second half of 2016 but did not name any specifically. To remain competitive against Apple and Google, in early 2015, Samsung acquired LoopPay and integrated their Magstripe Secure Transmission (MST) solution into their new generation of devices. This can be used safely with conventional PoS terminals with the magnetic strip reader. But when it comes to mobile payments it is not just about the big three players. The financial institutions UBS and Zürcher Kantonalbank have, in collaboration with SIX, implemented the new P2P payment system ‘Paymit’ in Switzerland. With the app, users can send and receive money in real time. Other banks (Banque Cantonale de Genève , Banque Cantonale Vaudoise , Luzerner Kantonalbank and Raiffeisen) have since signed up, which further supports rapid spread of the app. Currently, ‘Paymit’ is being rolled out for commercial use. It provides an alternative to Apple, Google and Samsung, at least in Switzerland. This helps banks and financial institutions to defend their relationship with the end customer and allows them to remain competitive against the new technology providers. 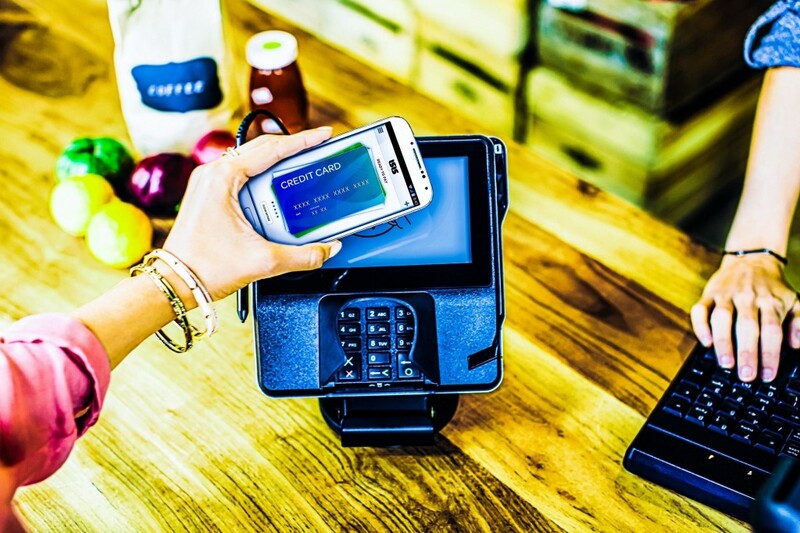 Analysts are convinced that mobile payments will prevail. However, Google seems to move in a very narrow niche in Europe. After all, Android Pay addresses only users in selected countries that use neither Apple Pay nor Samsung Pay. Neither in English speaking countries nor in German speaking countries will the pure introduction of a new mobile payment platform be sufficient to change the payment behaviour of customers sustainably. Only the combination of mobile payment with other services, such as mobile ticketing and loyalty systems, will result in a perceivable benefit. Only then will the average user, and not just tech lovers and innovators, use such a service regularly. A key benefit for Android Pay in the UK is the cooperation with Transport for London. This allows users to pay their fare on buses, trains and the underground system via smartphone. One thing is for sure: while we look to the UK when it comes to the development of Android Pay in Europe, Google is already concocting plans for other promising digital markets.